Scientists know that gradually rising ocean temperatures can push corals past a threshold and cause them to bleach. But combine this chronic stress with an acute short-term weather shift, and the amplified impacts can be sudden and devastating. That’s what a research team led by Woods Hole Oceanographic Institution discovered in June 2015 on Dongsha Atoll, a circular coral reef surrounding a lagoon in the remote South China Sea. 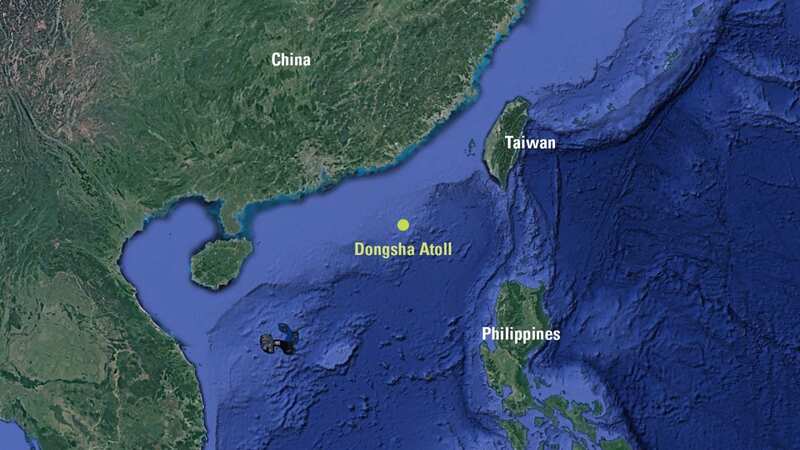 The Dongsha corals were already feeling a 2° C (3.6° F) rise in ocean temperatures from global warming and from an El Niño—the phenomenon that occurs every few years and sends warm equatorial waters flowing westward toward the western Pacific and the South China Sea. But then prevailing winds near Dongsha unexpectedly died down. The study—conducted with researchers from the University of California at Irvine, Old Dominion University, and National Sun Yat-Sen University—was published in March 2017 in Scientific Reports. DeCarlo witnessed the start of the mass die-off with WHOI divemaster Pat Lohmann and WHOI scientist Anne Cohen, principal investigator on the project and DeCarlo’s Ph.D. advisor. “It’s quite uncommon to be out there in such a remote place as a massive bleaching event is actually happening,” Cohen said. 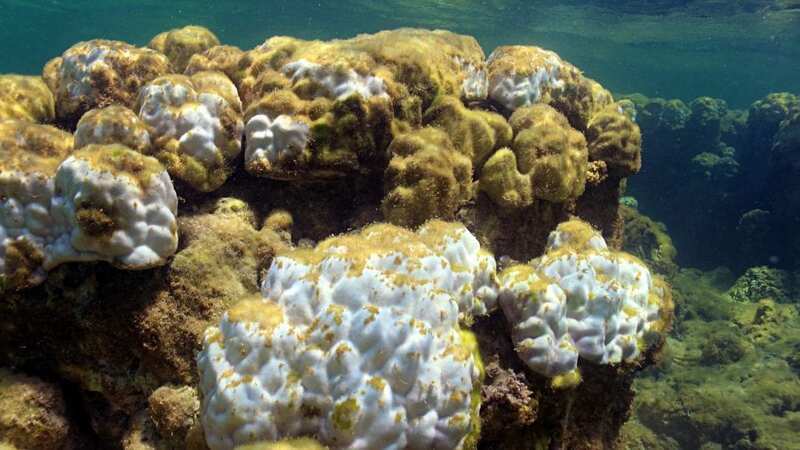 Bleaching occurs when warmer waters cause colorful symbiotic algae hosted in coral tissue to move out, revealing the corals’ underlying white skeletons, Cohen said. The corals provide algae with a protected place to live and chemical compounds they need for photosynthesis. In exchange, the algae produce oxygen and organic materials that corals need to grow. 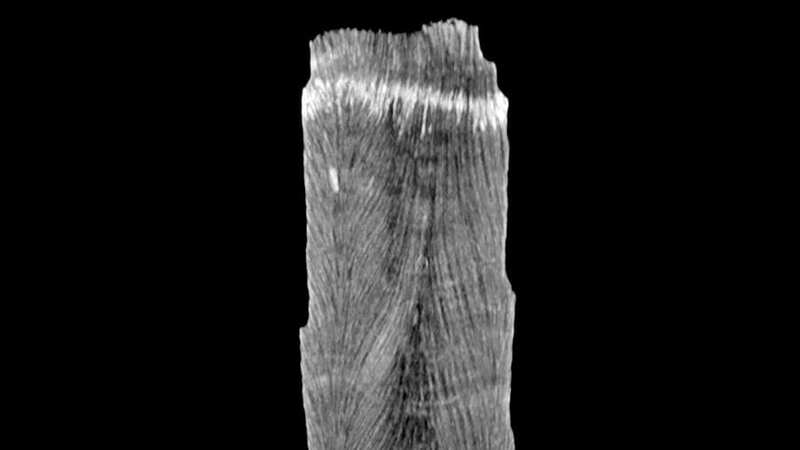 The team also drilled core samples from Dongsha corals and used computed tomography (CT) scans to reveal annual rings or “bands” that show when the corals experienced thermal stress. 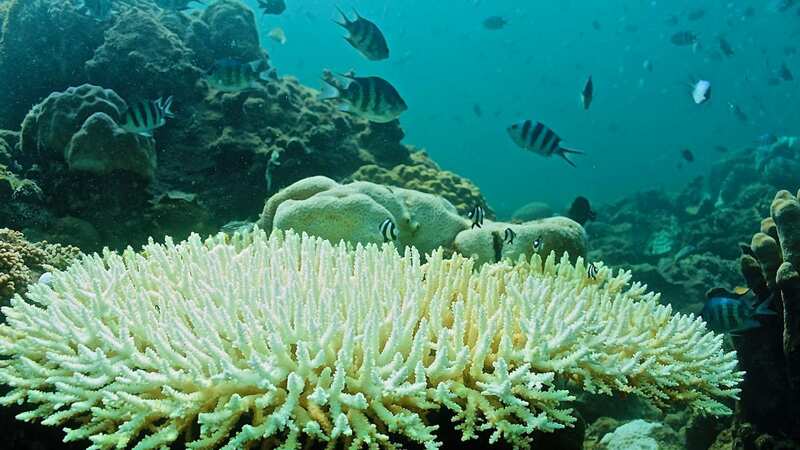 The scans showed that Dongsha corals had three previous bleaching events, each during El Niño years between 1983 and 2015, but none came close to the 100 percent bleaching in 2015. 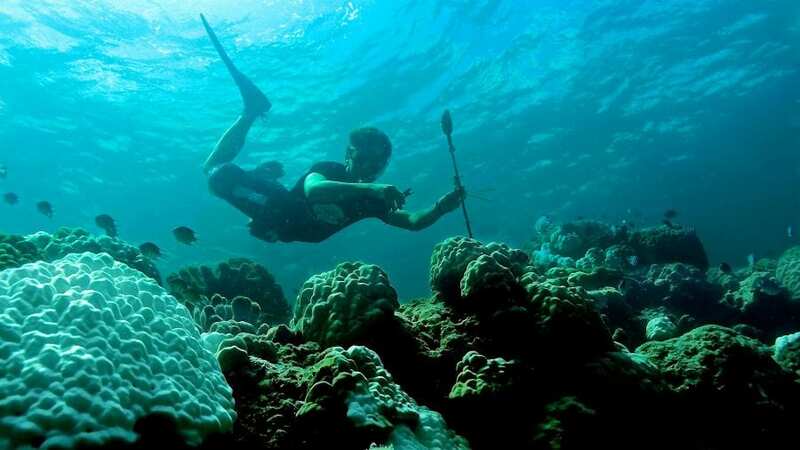 “It’s possible that coral reefs are in much more immediate danger than we have anticipated,” Cohen said. This research was funded by the National Science Foundation, Academia Sinica, and the WHOI Coastal Ocean Institute.